It’s sweet, it’s safe, and it looks like it could save neurons. What is it? Trehalose. 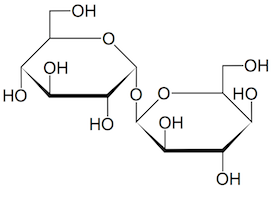 Trehalose is a natural sugar. This natural sugar is used in the food industry as a preservative and flavor enhancer (it’s in Taco Bell’s meat filling). And curiously, medical researchers keep running into trehalose when they’re looking for ways to fight neurodegenerative diseases. A recent example from Emory’s Department of Pharmacology: Chris Holler, Thomas Kukar and colleagues were looking for drugs that might boost human cells’ production of progranulin (PGRN), a growth factor that keeps neurons healthy. 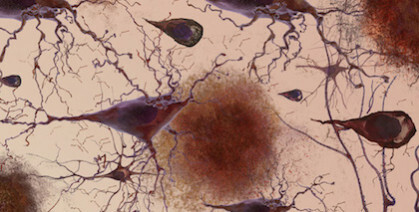 Mutations in the progranulin gene are a common cause of frontotemporal dementia. The Emory scientists discovered two leads: a class of compounds called mTOR inhibitors — the transplant drug rapamycin is one — and trehalose. The team decided to concentrate on trehalose because it increased PGRN levels in neuronal and non-neuronal cell types, unlike the mTOR inhibitors. Their results were published at the end of June in Molecular Neurodegeneration. The team confirmed their findings by examining the effects of trehalose on cells derived from patients with progranulin mutations. This paper is the first to include results from Emory’s Laboratory of Translational Cell Biology, which was established in 2012 to facilitate this type of “disease in a dish” approach. 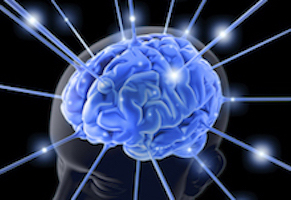 Cell biologists Charles Easley, Wilfried Rossoll and Gary Bassell from the LTCB, and neurologists Chad Hales and William Hu from the Center for Neurodegenerative Disease are co-authors.